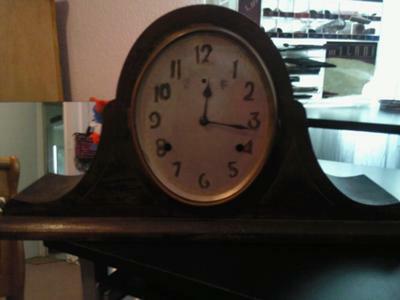 WM.L.GILBERT CLOCK CO ANTIQUE CLOCK! IT IS MADE BY "WM.L.GILBERT CLOCK CO." FROM "WINSTED CONN. U.S.A." IN SMALL LETTERS "PAT. APRIL 28TH 1896" IN THE BACK IN BIG LETTERS SAYS "25" AND ON THE BOTTOM SAYS "NORMANDY CHIME 2006"